In the meantime, radio and television have brought us happy times and sad, kept us informed during national disasters and tragedies, and given us hope when we have needed it most. Broadcasting has lifted us up and unified us and clarified our purpose. And for the first time in its history, television — in fact all broadcasting — is under attack on several fronts. The real challenges now come from user apathy and from corporate greed. People think they don’t need broadcasting, and they’re wrong. They don’t give a thought to broadcasting unless the internet is out, or there is a massive natural disaster. These are the times when broadcasting really shines, since its simple technology means that most people can stay connected with nothing more than a small, battery-powered device. The cell phone is great, but we tend to forget that it needs a tower to operate. If power is knocked out to a whole state, those cell towers go down and you have nothing. As long as a radio or TV station has a generator, it’s going to keep broadcasting and as long as you have batteries, you’ll keep receiving. Unfortunately, because people don’t think about radio and television until there’s an emergency, they tend to be unprepared. There was a time when every emergency kit had a radio — does yours? What about a portable TV? These emergency items are actually pretty hard to find at local stores because they’ve become less popular. 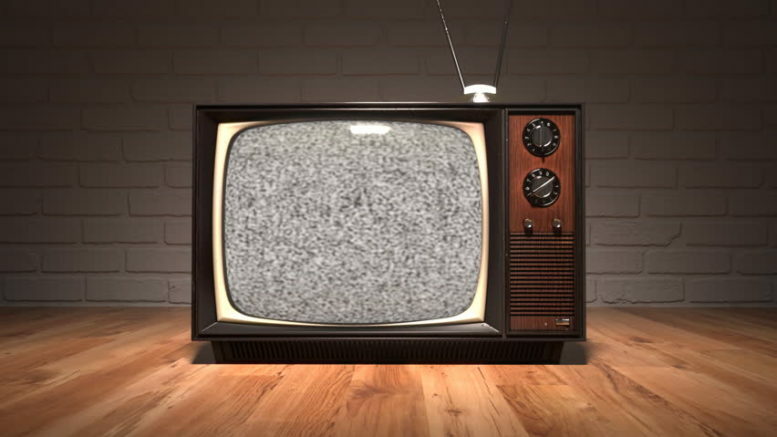 When fewer people use broadcast TV, it becomes harder to sell commercials and that makes it harder for broadcasters to make money. Don’t get me wrong, I’m not all of a sudden going soft on the fat cats who have been taking unfair advantage of their positions for decades. The problem is, though, when broadcasting becomes unprofitable, people want to stop doing it. And… that’s the other front in the war for broadcasting’s survival. Larger companies continue to swoop in and build huge broadcast conglomerates. Where a generation ago, it was practically illegal for one company to own more than a dozen stations, today you’re looking at companies that own a hundred stations. Most are fairly unknown, but these giants could reshape the landscape easily. They’ll do it by providing the same programs to every city, taking away regional character and making it harder for local merchants to compete. They’ll do it by insidiously pushing one opinion over another, on a national scale. And they’ll do it by eventually crushing smaller competitors until they are one of the only channels left standing. What can you do? Should you even do anything? I personally think that broadcasting is important. It’s part of our national emergency plan, that’s to be sure, and on an every day basis broadcasting provides a voice for small, local investigative reporting in a way that the internet doesn’t. I’ve said for years that it can be easier to find out what people in Singapore are eating than what your local school is serving for lunch. It’s certainly easier to know (in almost nauseating detail) what the folks in Washington are doing than it is to know what your local city council is doing. Without a clear understanding of what’s going on in local politics, you have to expect corruption to rise to epic levels. Local journalists have always acted as a check against local corruption, but that’s getting harder to do. Newspapers are gone — let’s be honest, local papers didn’t have a chance when the internet came. Yet in past years local papers were really instrumental in helping people get involved. Today that’s not happening, because the internet isn’t picking up the slack. Local broadcasters can’t get into the tinier cities and towns, but at least they can report a local perspective — if they are allowed to by their corporate owners. I’m not sure what you, as a person could do. Just sitting and watching more TV, or listening to the radio at work, aren’t going to help. But at the very least, if you’re aware of how important broadcasting is and how critical it is that we preserve it and grow it, you’re taking a step toward keeping the world informed and safe. You’re closer to understanding the world right outside your door, which in the end is just as important as the world 10,000 miles away.